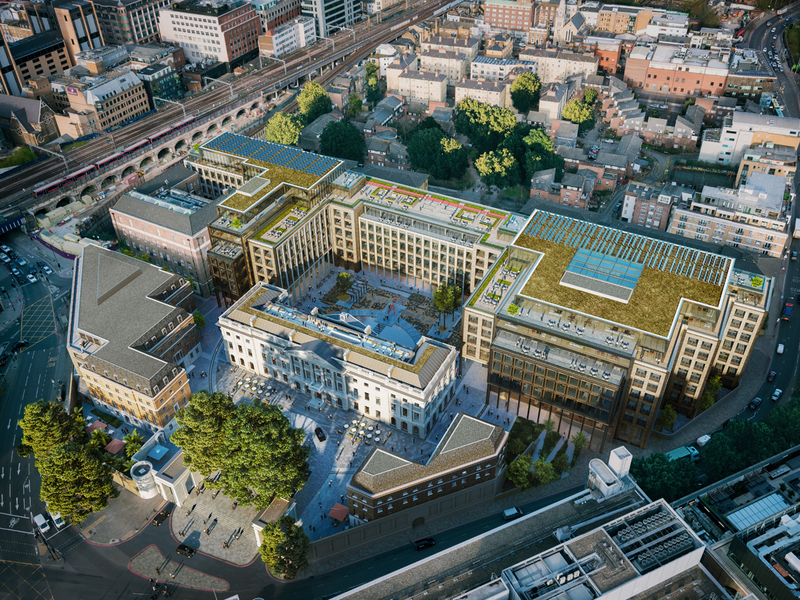 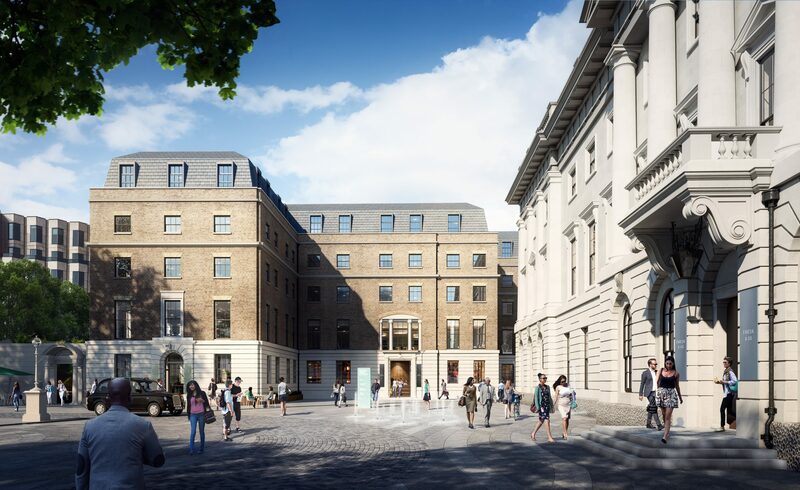 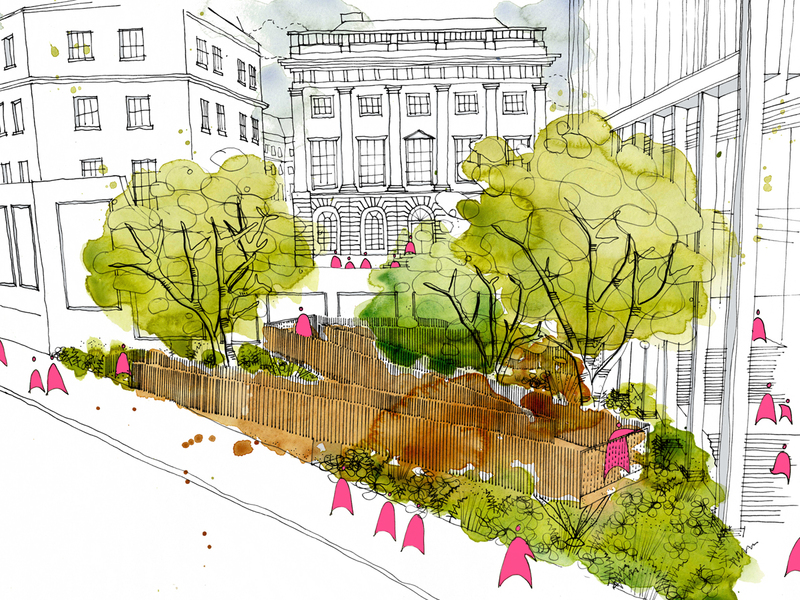 Spacehub have enjoyed working in collaboration with Morrow + Lorraine architects to design the landscape and public realm for this landmark site adjacent to the Tower of London. 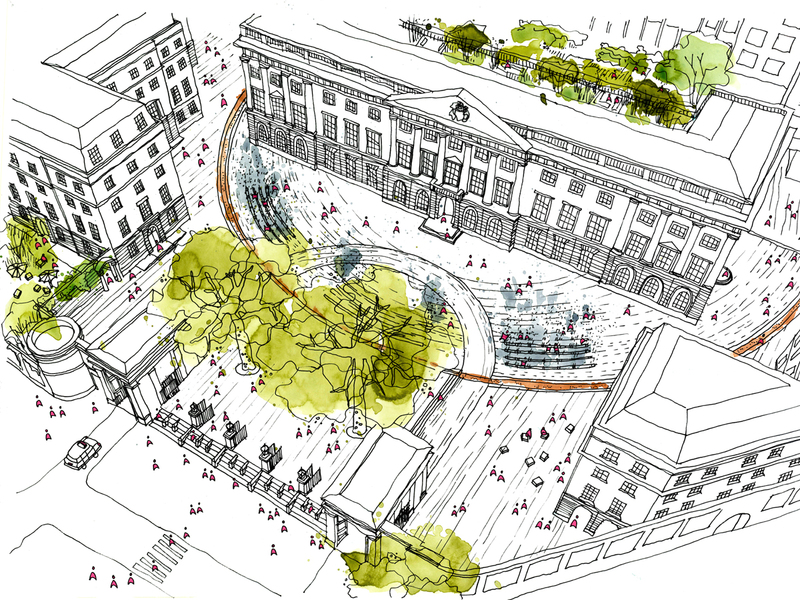 The aspiration is to create a world-class public realm and landscape environment that provides an appropriate legacy for this historic site. 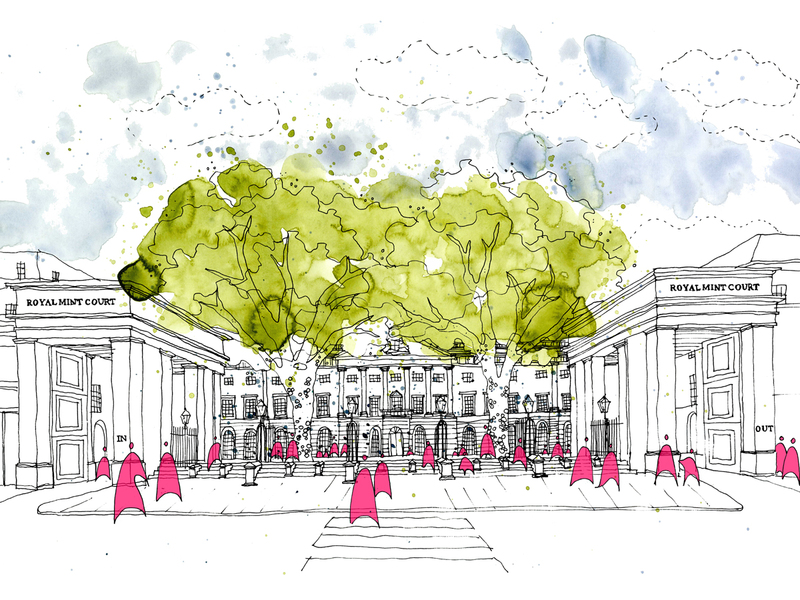 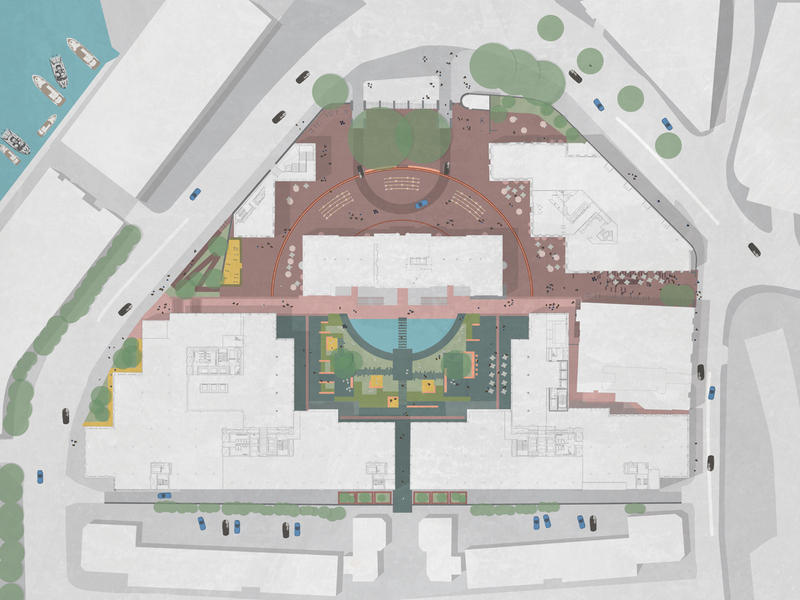 The design concept celebrates the rich history of the site, establishing a cohesive approach based on the classical geometry around the Grade 2 Listed Johnson Smirke building. 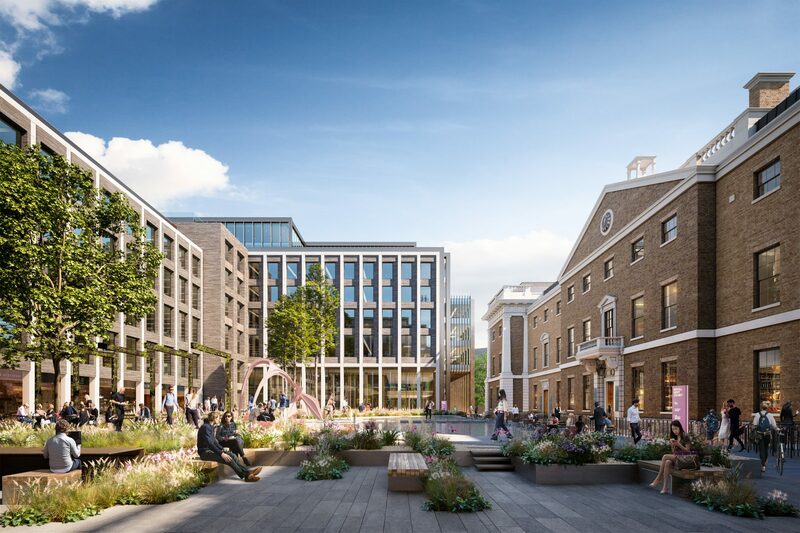 The opening up the site is to create an inviting and attractive new environement for local residents and office workers as well as a destination space for visitors. 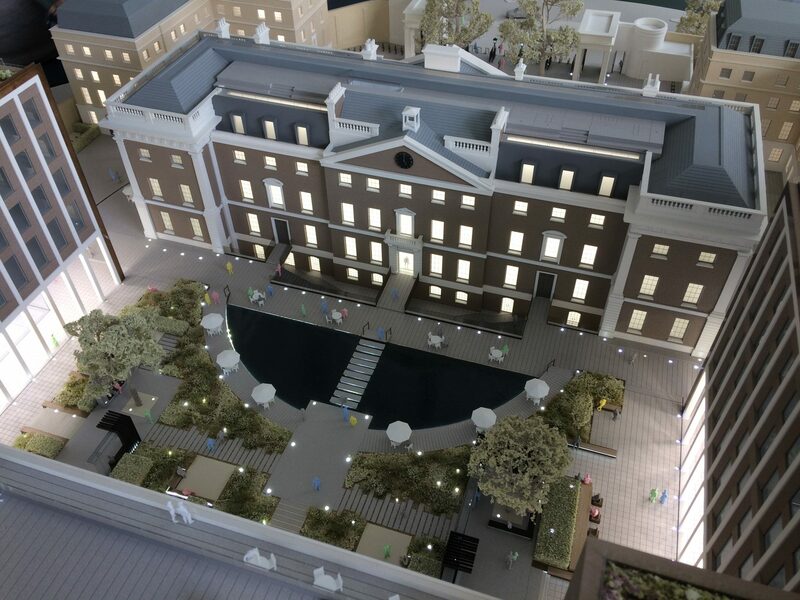 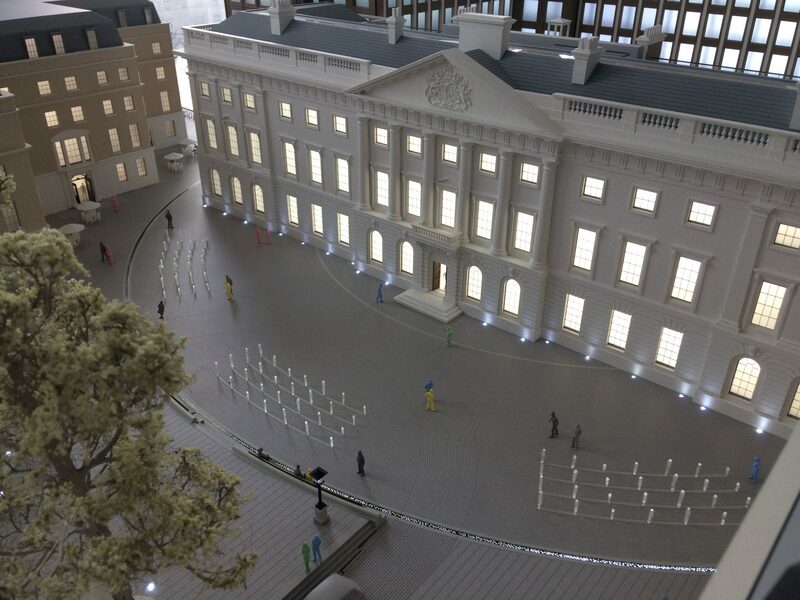 The creation of a flexible use courtyard to the front with fountains provides for events and a setting to the Johnson Smirke building. 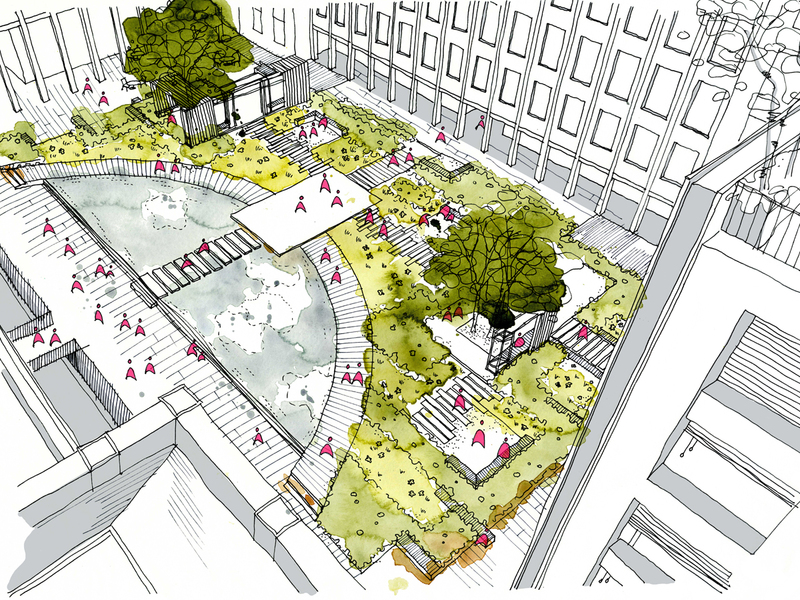 To the east a more intimate garden courtyard provides amenity space for office workers with, cafe seating, outdoor working pavilions, and a planted garden with mirror pool water feature.